So basically I had no idea what the entire hullabaloo was all about. I never really bought into the Bigg Boss frenzy until now. Season 6 is almost over and I never followed it religiously. But one fine day I was sitting idly infront of my computer, thinking about what to do. The Television was still on and a Bigg Boss commercial was being aired. At that moment I knew what I had to do. I opened Youtube and typed in ‘Dolly Bindra fights’ in the search box. The results that popped up made me jump and clap with happiness. So much entertainment! in just one search! Dolly Bindra has to be the ultimate masala queen. She’s so passionate about her fights, that the fact that it’s all being done for TRPs doesn’t even cross your mind. 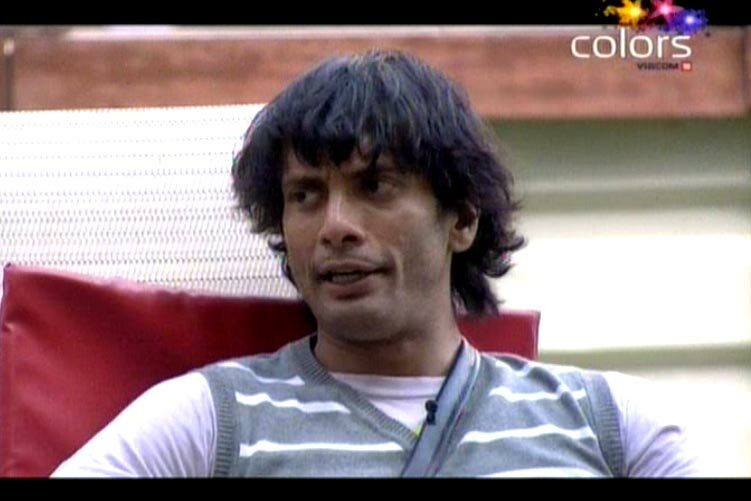 The Bigg Boss house is like a war field where a bunch of deranged maniacs have been let loose. But then again, considering the fact that viewers like us happily indulge in this show, I guess that makes us quite sadistic too. I started watching Season 5, because the Season 5 videos are stacked right at the top on the Colors channel on youtube. I watched 43 episodes in 2 days (I know what this sounds like. 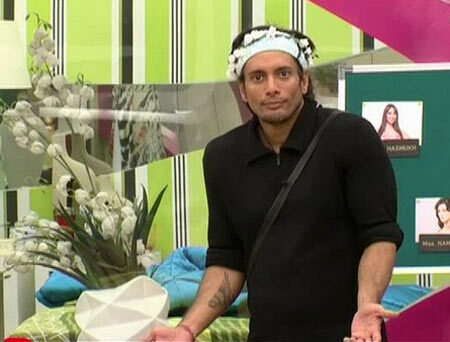 I didn’t waste 43 out of 48 hours watching Bigg Boss, I skipped a bunch of useless and boring episodes in the middle) But the real dhamaka began when Akashdeep Saigal aka Sky entered the house. Boy, what a player. He entangled everyone with everyone and munched popcorn on the other side. He’s brash, egoistic, chauvinistic, lazy and narcissistic. But everyone else is just plain stupid (except of maybe Amar Upadhyay). The crown of stupidity of course goes to Pooja Misra. Not just a loose canon, but also a bimbo. Pooja Bedi, who I genuinely considered to be the only one with a sorted head, turned out to be a hypocrite and a Sky fangirl. She leeched onto him like a desperate doe-eyed teenage girl and stuck by him even through his lies. He defamed Mahek Chahal and didn’t lose a chance to reduce her to a piece of trash, but Pooja Bedi being in love with Sky as much as she was, couldn’t look beyond his balding head and steroid injected face and body (…?? :shock:) Mahek along with Amar were two of my favorites despite all their shortcomings and flaws. Amar was the cool head who played his own game and Mahek was the drama queen who at least stood up for what she felt was right. The others like Shonali, Vida, Juhi Parmar, Sid, Sunny Leone (“Mujhe bahut hasi aati hai” :lol:) were non-existent. Laxmi was fun, I liked how she shut everyone up in her own style. She really should have got into more fights. She didn’t her a fair chance to showcase her talents. I haven’t followed this season too closely but I know a little. Urvashi is definitely a favorite but I can’t help feeling a little biased towards Delnaz. She was such a bright star in Kal Ho Na Ho as Sweetu. Can’t forget her “Toh doosri shaadi karungi, aur kya karungi” dialogue. She’s a sob queen and quite spineless, but an old favorite nonetheless. Niketan is a dark horse, he sleeps through through the fights and yawns through the sarcasm and cold wars, but still manages to hog the spotlight. You know, Urvashi, Sky and KRK (Kamaal Rashid Khan) should be put together in one season. That’ll be one heck of an explosive season. I’m sure it’s going to end up with all three of them gunning each other down. Abey oye! abhi bhoon daalunga! bach ke rahiyo! Oye fattu, main jo bolti hoon mooh pe bolti hoon! Tumhari tarah idhar udhar mooh nahi maarti! aukat me reh, samjha! Tu kya kar rahi hai urvashi, tere ko psychiatrist ki zaroorat hai yaar! Mujhe lagta hai tere past ne tujhe paagal kar diya hai! FREAKIN BUZZ OFF BABY! Regardless what has been said about the show, it definitely is one of the most entertaining shows on the planet. I guess somehow it taps into our individual twisted psyches and makes us relate to one of those crazy characters. P.S – I hate Salman Khan as the host! He’s loud and arrogant. His weaved hair and botoxed under eyes have put him in a delusional space. He’s still an old hag who can’t act. Anyway this show the best time pass ever.